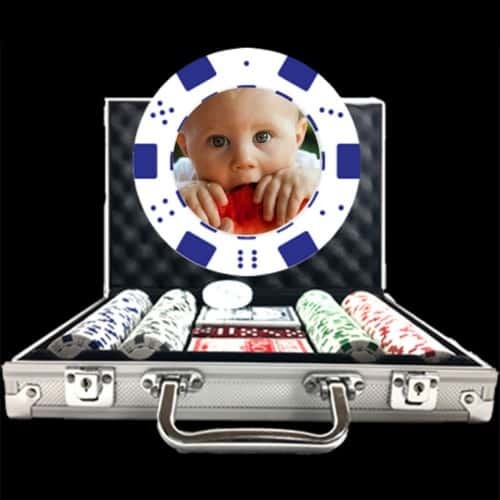 Upon approval, your custom photo or logo poker chip set will ship in 5 business days. Guaranteed gift delivery before Christmas! These photo poker sets are a great economical gift for a friend, child or family member. Personalized with a photo on one or both sides of the poker chip, this is a great holiday gift. Customize your set today!